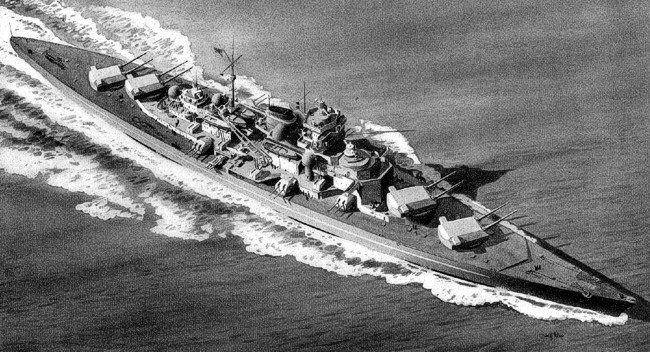 The battleship Tirpitz was the sistership of the Bismarck. She was launched in February 1941. During Tirpitzs trials in the Baltic, the Bismarck was sunk in action in May 1941. The Tirpitz went on two missions trying to intercept allied convoys. Together with the Scharnhorst she attacked allied targets in Spitbergen. The three raids where not very succesfull. After the sinking of the Scharnhorst in December 1943, Hitler lost all faith in the surface part of the German Kriegsmarine. New operations for her where canceled. Tirpitz was doomed to stay the rest of her life hiding out in several Norwegian fjords. In 1942 the Tirpitz was moored in a part of the Trondheimfjord called the Fættenfjord. The remains were visited by Henk Adriaanse in 2015 and the item is in the menu. Other hiding locations such as Tromsø and the Altafjord will be added later.